In the modern era of bodybuilding filled with extensive scientific research, state of the art supplementation, all kinds of isolation machines and thousands of fad training routines, it would seem that the pillars of old-school bodybuilding have been totally forgotten. If you were to go back 60-70 years into the past and enter a gym, you would have seen a completely different place than today’s modern gyms. You wouldn’t find anyone following so-called scientifically proven split routines, no silly amateurs chugging some kind of pre-workout, and then proceeding to do endless repetitions on the leg curl machine, whilst listening to some motivational music mix on their phone and looking the same months or years on end. Instead, people who went there followed some simple and basic principles of their idols from the Golden era. The reason for this is simple – these principles work. In the era before the widespread use of steroids, high-volume training, and the “Weider principles”, professional bodybuilders like Peary Rader, Reg Park, and Steve Reeves built their bodies by doing full-body workouts and training as hard as possible on a small number of basic compound exercises at every single training session. Among these incredibly strong old-school bodybuilders, there was a man called John Grimek, which is up to this day lauded as a true icon of bodybuilding who pioneered many of what are today deemed bodybuilding’s basic principles. John Grimek, who by the way has never lost a bodybuilding contest in his entire career, was bodybuilding’s biggest name during the 30s and the 40s, twice winning the prestigious AAU Mr. America. He was regarded as one of the greatest bodybuilders that ever lived by the legendary Steve Reeves, a worthy praise considering it came from Hercules himself. 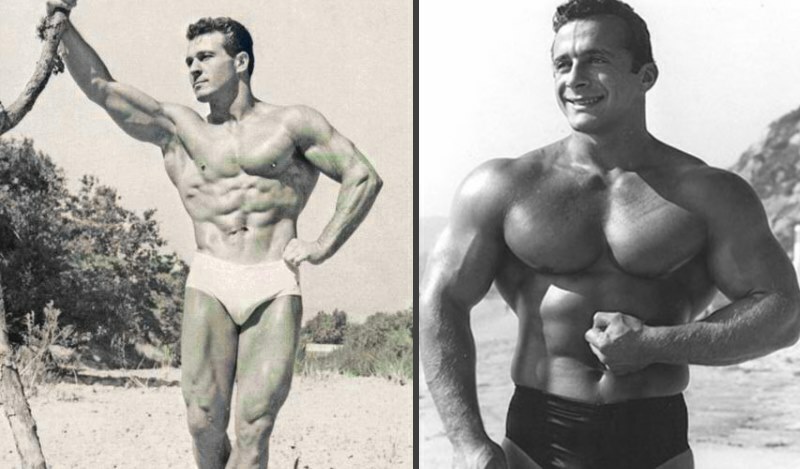 Besides having a spectacularly muscular and aesthetically pleasing physique, John was, like all the great bodybuilders of the Golden era, also incredibly strong and his physique matched this. In 1936 Grimek competed for the US in the now infamous Berlin Olympics and at one point in his career, he held the American and World Record for the Press (Overhead). In this article, we will take a closer look at one of his favorite muscle building programs which are based on his main principles for gaining strength and building muscle mass. This full-body program should be done only 3 days a week, which will allow you to optimally recover and grow during the rest days. Remember, one of the pillars of bodybuilding is that you allow your body to properly recover because it is during the recovery phase that muscle growth occurs. That’s why you need to train hard and then give yourself some resting time to grow. Don’t rest too much between sets and keep the training intensity high. Grimek suggested that lifters rest between 45 seconds to 1 minute between sets and between 2-3 minutes between different exercises. Good form is essential and Grimek was a huge proponent of keeping good form. All repetitions should be done in a slow and controlled manner and you should keep doing reps until you can no longer maintain a good execution form. Swinging, bouncing or jerking the bar or the dumbbell will only hinder your progress. As with any other bodybuilding program, diet is just as (if not more) important as what you’re doing in the gym. If you want to do the same thing Golden era-lifters did, you should fuel your training by consuming large amounts of red meat, whole milk, eggs, honey, nuts, and fruits. Related article: HIIT ABS WORKOUT ! That’s why there’s no need to over-complicate things, just keep them as simple as possible. We should keep in mind that every single title-winning bodybuilder training in the era before steroid use built their bodies by using the aforementioned principles. Additionally, the good thing about this full-body routine is that it’s a lot more doable, or shall we say, achievable compared to other Golden era full-body programs that have also been published. For example, many of Steve Reeves’ full-body routines, had over 40 sets, which might be a lot for someone who isn’t a professional bodybuilder. With the routine presented here, you will be doing between 16-18 sets in one training session, which would usually take you around an hour to complete. This full-body training program is extremely effective for building muscle mass, gaining strength and sculpting a well-proportioned and functional physique. If you have been doing a standard body part split routine for some time now (these programs are typically used by pro bodybuilders who are taking anabolic steroids) and still struggle to see noticeable results, why not give this program a try and see how it works for you. If you eat well, sleep well and get lots of rest it is guaranteed that you’ll see great gains following this routine.